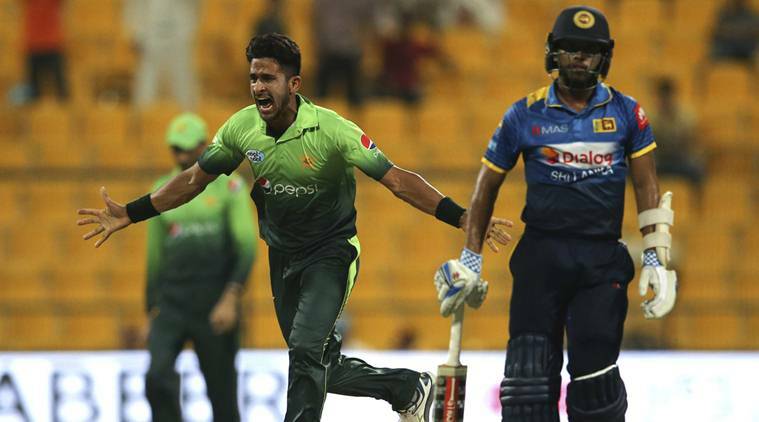 The second ODI between Pakistan and Sri Lanka was staged yesterday at Abu Dhabi where Pakistan beat Sri Lanka by 32 runs. Now, in the five matches series, Pakistan leads the series by 2 – 0. By winning the toss the Green Army came to bat just like 1st ODI. But unfortunately they faced batting collapsed in their innings and within so early, they lost top six wickets. Finally, based on the Babar Azam’s brilliant century and Shadab Khan’s unbeaten 52 runs, team Pakistan scored 219 runs in 50 overs. In return, the Lions faced batting collapsed too and excluding their skipper Tharanga, no one could stand strong. Tharanga made a brilliant century as well and remained undefeated with his 112 runs but even his century could not save the match. In 48 overs, they got all out by scoring 187 runs. However, team Pakistan won the first ODI at Dubai and thought to win the ODI series against Sri Lanka because they already lost a Test series against the Lions earlier. So, they were desperate to secure the ODI series by winning three ODIs consecutively. They came to bat but the ground was proved as bowling favoured after the match. Pakistani batsmen could not last long in front of the Lions bowlers. But the partnership between Babar Azam and Shadab Khan took the team to a reliable score. They added almost 110 runs to the scoreboard. Babar Azam scored 101 runs which was his second century in the series. In the opening match, he also scored a century so far. Gamage who is a Lanka bowlers took highest four wickets for the team. 219 runs was not enough to beat the Lions but pakistani bowlers made things possible. Since the beginning, they dominated the 22 yards. In just 10 runs, the Lions first wicket Dickwella was gone by Junaid Khan. Since then Sri Lankan batsmen could not stand in front of Pakistani bowlers. In 30 runs, they lost second wicket and 70 runs lost the third one. However, they started to lost wicket regularly and in just 93 runs, the Lions lost their top seven wickets. But their skipper Tharanga stood alone. In 8th wicket partnership, Tharanga tried with Vandersay and they added almost 70 runs to the board but with the fallen of Vandersay, they were finished in 187 runs. Pakistani bowlers were very successful in the match. No one gave much runs and Shadab Khan took highest three wickets. Due to his brilliant fifty and three wickets with ball, he was announced as the player of the match. The 3rd match between them will take place in 18th October, 2017 at the same venue.